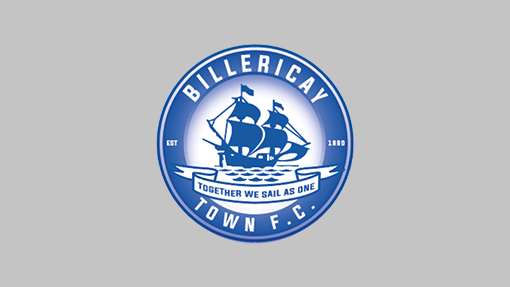 BTFC travel to the West Country on Saturday August 25th to take on Chippenham Town. With an impressive home win over Weston-super-Mare last time out keeping the Blues at the summit of the League, a victory against the Wiltshire side offers the chance to maintain the fine early run. Chippenham Town are in mixed form with two victories and three losses so far this campaign leaving them in 15th position. Their last game at Eastbourne Borough saw the team lose 2-1 in a tightly contested match. Home matches have yielded a 1-0 win versus newly promoted Slough Town and a 1-4 defeat to Welling United. The Bluebirds secured a creditable 13th place finish in their first season in the National South in 2017-18. Having initially struggled, an impressive late burst of wins secured a mid-table debut. Although operating with one of the lower budgets in the division, the club approach the season with optimism and have an eye on improving from the last campaign and pushing for a top 10 finish. Recruitment at Hardenhuish for 2018-19 has been steady with 11 players retained or given new contracts. These include central defensive options in skipper, Greg Tindle, and ex-Redditch Utd centre-back, Will Richards, named Player of the Season in the 2016-17 title campaign. Another key signing is left-sided defender, Curtis McDonald, who joined in December 2017. Comfortable in the middle of the back four, the ex-Merthyr Town player has also featured at left back this season. The West Country’s midfield has a familiar feel with Dean Evans, Matt Smith, James Guthrie, and Alexander Ferguson all agreeing new deals. Ferguson, who came into the team for Welling, and has stayed in on the left side of midfield, is a busy player and prepared to shoot on sight. We also highlight ex-Fulham U-23 skipper, Josh Smile, signed in October 2017 as an important influence on the right side. Still only 21 years old, and of similar stature to our own Sammy Deering, he can pass well and, as we saw in the match away at Truro, is capable of delivering a pinpoint cross. Joining the squad are eight new entrants, including the arrival of replacement goal-keeper, Will Henry, on loan from Swindon Town. Henry is an unexpected arrival joining after incoming keeper, Will Puddy, sustained a long-term injury in only his second League appearance for the club. Last year’s man between the sticks, Jared Thompson, was re-called by his parent club, Chelsea F.C. Local rivals, Bath City, provide three new faces in winger, Jack Compton, Antigua & Barbuda international striker, Nathaniel Jarvis, and right-back, George Rigg. We note that Compton won the “Golden Boot” last season in Romans colours with 12 goals and looks a clever acquisition. He has missed the last three matches with an injury so may not feature. Jarvis, at 6ft 3ins, is very physical, and an aerial threat, with a good turn of pace. He has scored heavily at this level with Hungerford over 2015-17 and offered a reminder of his potential with a classic diving header finish away at Truro. Ex-Bristol City junior, Rigg replaces the departing Daniel Bowman. Somebody we think is highly likely to feature is striker, Karnell Chambers. Although not a new signing, arriving in March 2018, he has now committed to the current campaign. Arriving from National South neighbours, Gloucester City, where he netted 7 goals in 28 appearances for the Tigers, this exciting young 20 year old has started the season strongly. With three goals in four starts, Chambers can finish well and looks like one to watch. unavailable through injury, we expect Jake Howells to continue as left-back. Doe and Inman have impressed as a centre-back pairing and are likely to remain in place despite the challenge from Gerring – now available for selection after suspension. Midfield changes could be undertaken to accommodate width in the team through either or both Alfie Potter and, if fit for selection, Ricky Modeste. Up front, Jake Robinson looks a certain starter. The main decision on attacking options is whether to reward Moses Emmanuel with a start for his goals as substitute at expense of Coombes. 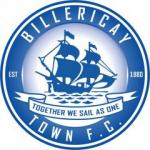 Billericay Town: W, W, W, D, W. Leading Scorer: Robinson, 8 goals. Chippenham Town: L, W, L, W, L. Leading Scorer: Chambers, 3 goals. .1 Louis Wells ; 2 Joe Kizzi ; 3. Jake Howells ; 4. Scott Doe ; 5. Dean Inman ; 6. Sam Deering (12. Alfie Potter, ’74) ; 7. Jamie O’Hara ; 8. Simon Walton (14. Adam Cunnington, ’66) ; 9. Jake Robinson ; 10. Adam Coombes (17. Moses Emmanuel, ’62) ; 11. Danny Waldren. Subs Not Used: 15.. Ben Gerring ; 16. Rickie Hayles. .1 Will Henry ; 2. George Rigg (14. Kieran Parcelle, ’50) ; 5. Greg Tindle ; 6. Will Richards ; 7. Alexander Ferguson (11. James Guthrie, ’68) ; 8 Matt Smith ; 9. Nathaniel Jarvis ; 15. Dean Evans ; 16. Curtis McDonald ; 17. Karnell Chambers ; 19. Josh Smile (12. Andy Sandell, ’55). Subs Not Used: 4. Michael Jones; 18. Nick McCootie.